With 3 drawings a week, SuperEnalotto gives you plenty of opportunities to win big! 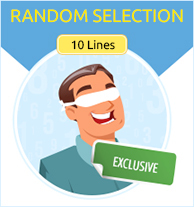 Choose your favourite 6 numbers from 1-90, and take advantage of perks like Quick Pick, Multi-Draw, and syndicate plays to make these games even more lucrative! It’s fun & easy to play Superenalotto, you can play online from anywhere in the world! all you have to do is select 6 numbers from a total of 90. The top prize of the Superenalotto is for matching all 6 numbers. You can choose your Superenalotto numbers yourself or you can select them randomly using our quick pick option. Match all 6 numbers to become a Superenalotto multi-millionaire instantly! 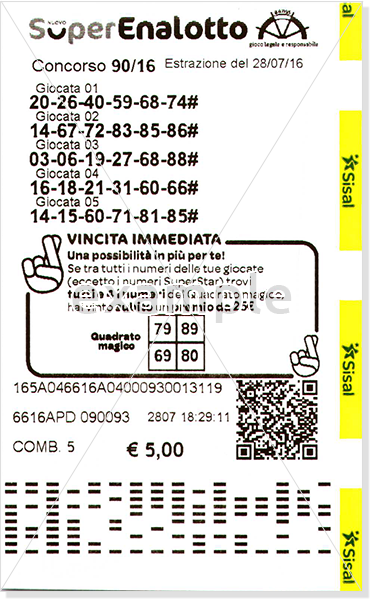 The Superenalotto is an Italian national lottery & one of the biggest Lottery draws in Europe. With a minimum jackpot guaranteed at €1.3 million and record jackpot of €177 million it's always going to be a good day when you jackpot with the Superenalotto. Find out more about the Superenalotto including the odds, prize breakdown & history at our Superenalotto lottery info page. Check recent results at our Superenalotto results page, here you can see the history of results and more details of each draw. Superenalotto vs. SuperLotto Plus: What's the Difference? Superenalotto and SuperLotto Plus are two different lotteries from separate sides of the world. The Superenalotto takes place twice a week and usually has lower jackpots than the Superenalotto, which has an incredible three draws a week and a huge record jackpot of €193 million. If you like to play regularly then the Superenalotto is what you want; high volumes & high odds, play the Superenalotto 3x a week to hit their bigger jackpots. Anytime your numbers match and you win a prize you will be sent an email notification automatically to let you know you've won! Three drawings a week means you can play this lottery almost every other day. 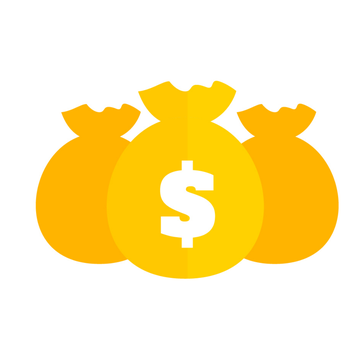 Any prize up to $600 will be transferred directly into your account after the Superenalotto results have been published. Any winnings higher than this & you will be contacted directly from one of our account managers to organize how best to claim your winnings. Jackpot wins may need to be collected in the country where the ticket was purchased. In this event, we will notify you and advise how best to claim your Superenalotto jackpot winnings! Are you ready to win millions with one lucky ticket? Then get your Superenalotto lottery ticket today and see just how easy it is to play! 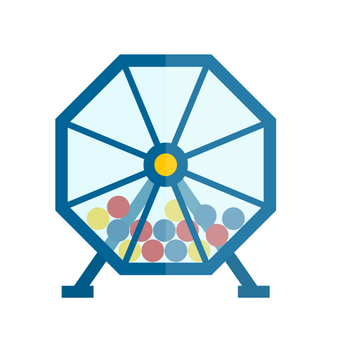 If one ticket is not enough, you can increase your odds instantly by playing one of our Group Games where you can save money & give yourself bigger chance of hitting the jackpot. Superenalotto not only has some of the biggest jackpots in the world but also has more frequent draws than any lottery of its kind. With an incredible three draws every week it’s easy to see why this is such a popular online lottery to play.